Labour Party foreign policy adviser offers apology to Israeli ambassador after party compares Israel, ISIS. The UK Labour Party has offered Israeli ambassador Mark Regev an apology after party head Jeremy Corbyn implicitly compared Israel and ISIS, Associated Press reports. Last week, Corbyn told an anti-Semitism conference that Jews are "no more responsible for the actions of Israel" than Muslims are for ISIS terrorists. Numerous prominent figures, including the UK's Chief Rabbi, have denounced the remark. Corbyn later claimed that he did not intend to equate the two. A spokesperson for the Israeli embassy in London says that Labour Foreign Policy Adviser Emily Thornberry issued an apology on Friday, noting that "Ambassador Mark Regev welcomed Emily Thornberry's unequivocal apology following Jeremy Corbyn's unacceptable remarks." Many Israeli leaders, however, have demanded more than a mere apology. 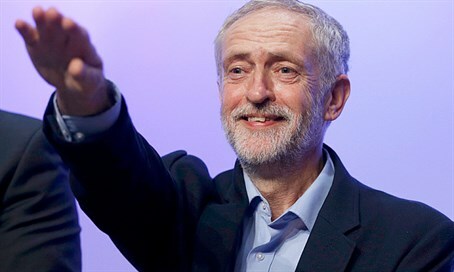 Labor Party head Yitzhak Herzog called the statement a "betrayal of the values which the international labor movement represents" and added that "Corbyn represents a consistent stance of hatred for Israel." MK Yair Lapid (Yesh Atid) offered an even stronger response. "It is unacceptable that on such a difficult day for Israel in which an innocent young girl is murdered in a terrorist attack for being Jewish, the head of the British opposition will compare Israel to ISIS during a discussion about a report on anti-Semitism," he said, insisting that the Israeli Labor Party cut off ties with its British counterpart until Corbyn is removed. Former Shin Bet director and current MK Avi Dichter (Likud) scathingly declared that "Mr. Corbyn has said in the past that he sees Hamas and Hezbollah as ‘friends.’ Only someone so linked to these terrorist groups could say such an anti-Semitic thing. Corbyn has learned nothing from British history, nor from the history of Israel or that of the Jewish people."